How to Write a Country History Research Paper on Greece and Greek History. Greece and Greek History topics include a colorful history on characters such as Alexander the Great, the Gods, battles with Rome and governmental politics. 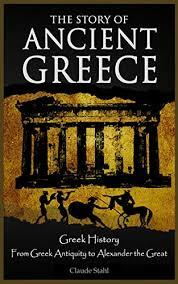 Geography had profound impacts on Greek History. On the mainland of Greece land communications were poor due to the partitioning of the land by mountains, the soil in the valleys tended to rocky, and grain production weak. Consequently, trading by sea came into fashion with grain being imported from places as far away as the Black Sea, and people being exported to colonies as far away as the Western Mediterranean. The poor communications undoubtedly had to do with the formation of many, small city states, and the need to maintain sea-commerce undoubtedly had an influence on both the generation of wealth in such cities as Athens and Corinth and the cosmopolitanism of the Greek world. The fact that part of the Greeks occupied the Ionian Islands off the coast of Asia Minor made problems with the Persians virtually inevitable and the strategy of the Persians in their attempts to invade Greece were very much constrained by the nature of Greek geography. Achaemenid Empire - A research paper on the Achaemenid Empire discuss the first major empire in ancient Persian. Greek Gods - Research papers on Greek Gods take an in depth analysis of well known Greek Gods and Goddesses. Paper Masters writes custom research papers on Greece and Greek History topics that include a colorful history on characters such as Alexander the Great, the Gods, battles with Rome and governmental politics.